PPA’s first adult actors returned to St. Louis in 2005; PPA immediately established an Alumni Theatre Company to offer a constructive outlet for their energies and offer connections to organizations that provide re-entry services like Project Cope and the Center for Women in Transition. 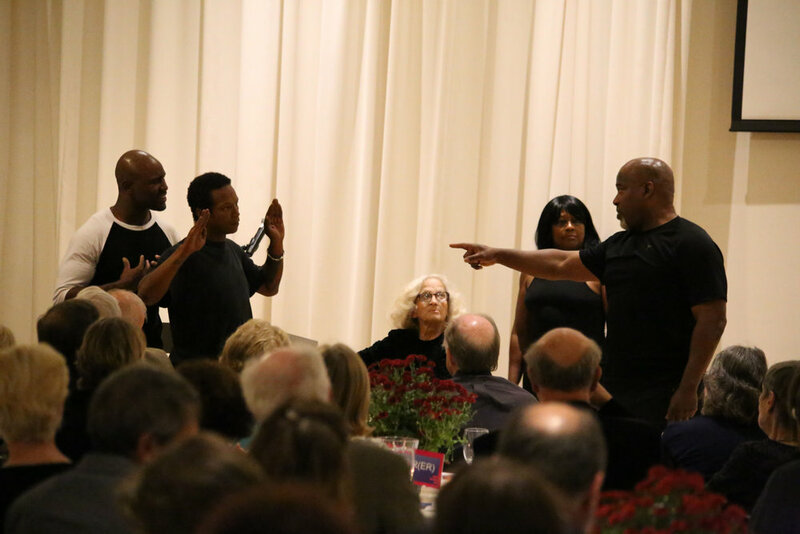 PPA’s Alumni Theatre Company, one of the only prison alumni theatre companies in the United States, is currently made up of former inmates now living in the St. Louis area who worked with PPA while incarcerated. This program provides kinship, stability and a creative outlet as members re-establish themselves in the community. The company is thriving, performances are regularly sponsored by and for the Greater St. Louis Humanities Festival, Shakespeare Festival St. Louis' Green Show and Shake38, Grand Center Theatre Crawl, St. Louis Rotary Club, Washington University’s Medical Orientation Week, and many collaborations and performances through the St. Louis Public Library. The group meets on a regular basis, to develop new material, focus on skill development, and become a source of support to these newly released women and men. Artistic Director, Christopher Limber, works regularly with the Alumni members to develop new plays and presentations for performance at various community events. This investment of time and energy in constructive work adds a regular artistic experience to the ongoing rehabilitative investment made by these returning citizens and continues the artistic skill-building begun by PPA during incarceration. An important facet of the Alumni Theatre Company experience is frequent class sessions from guest artists, who instruct company members on various aspects of theatre practice, such as playwrighting, voice & diction, movement, and design/stagecraft. With this growing and consistent rehearsal and performance schedule, the Alumni Theatre Company is becoming a distinctive community outreach effort for PPA. This Shakespeare romp offers the antics of the clowns from the Bard's A Midsummer Night’s Dream, in their hilarious version of the play within the play Pyramus and Thisbe. Shakespeare's affectionate homage to actors and playmaking goes into imaginative overdrive to the delight of all. 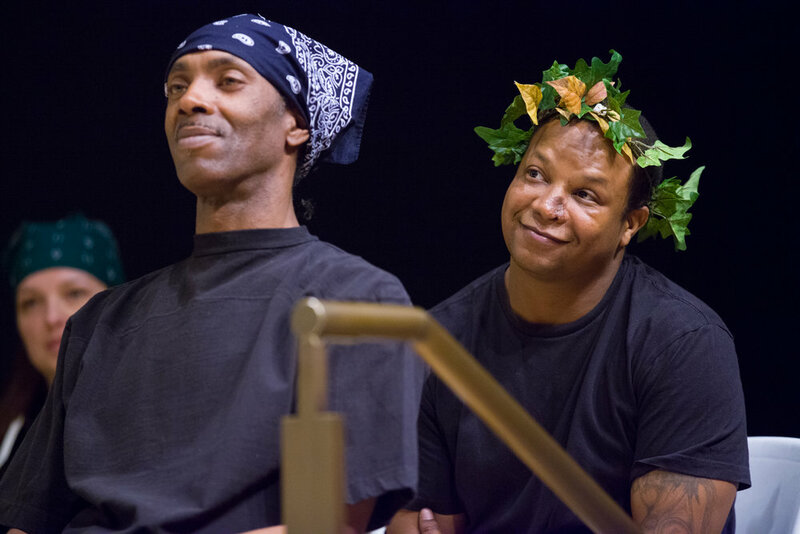 Written by the members of The Alumni Theatre Company, this stirring theatrical collage of scenes, poetry, and monologues articulate life outside of prison. It assures the audience that returning citizens, like them, are all part of the same struggling human race, and each of us in our lifetimes, faces many new beginnings. 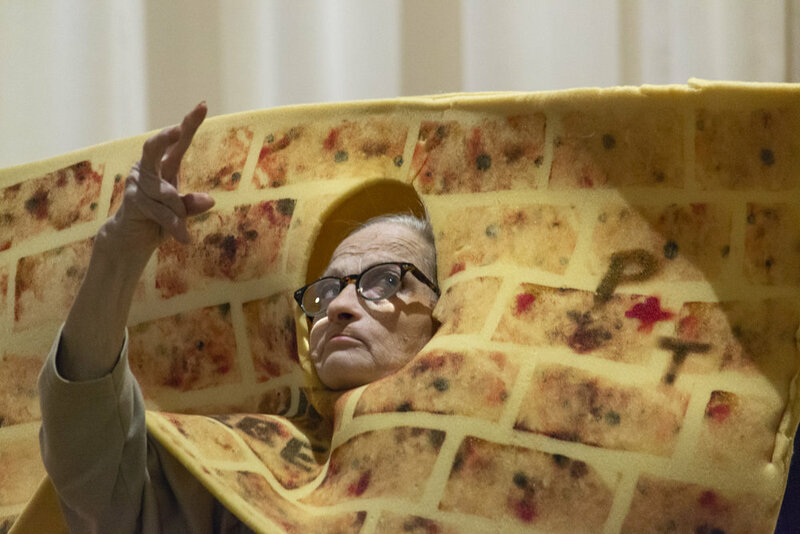 Kept Away A new, exciting piece commissioned by the St. Louis Public Library written by the Alumni Theatre Company, available February 2019. Incarcerated parents face difficulties and challenges when trying to keep a family together from prison. These stories are true and their impact is illuminating and profound. Contact Christopher Limber at chris.limber@prisonartsstl.org for more information and to schedule a performance by the PPA Alumni Theatre Company.